In recognition of Earth Day, the American Institute of Architects Committee on the Environment (COTE) annually recognizes the Top Ten Green Projects in the profession. The COTE Top Ten Award is considered by many as the best recognition program for sustainable design excellence. 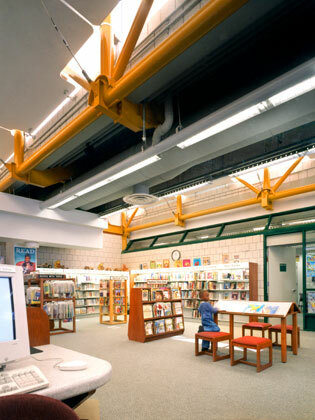 In 2000, the South Jamaica Branch library was honored to have been selected as a winner of this prestigious award. 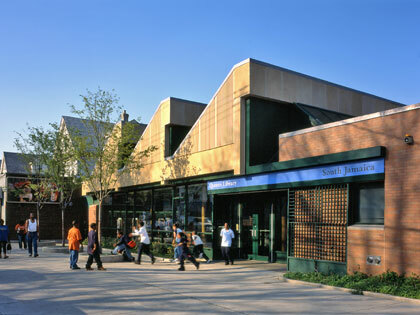 It is one of only five such projects in New York City. 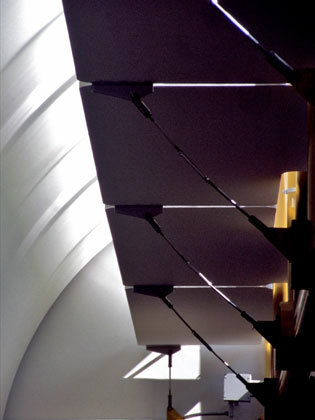 It was also the first building designed under the NYC High Performance Building Guidelines. 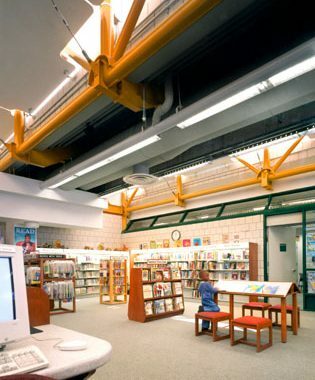 Among the building's many features, the library reduces the embodied energy and embodied pollution through the use of low energy and recycled materials and provides enhanced indoor environmental quality through the use of chemically and physically stable materials and special filtration systems. 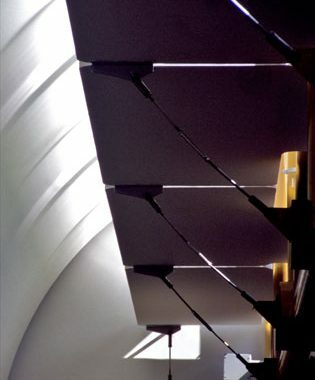 The "saw-tooth" shape of its roof not only introduces sunlight into the main reading room, but also promotes hot air stratification, concentrating at the peaks. 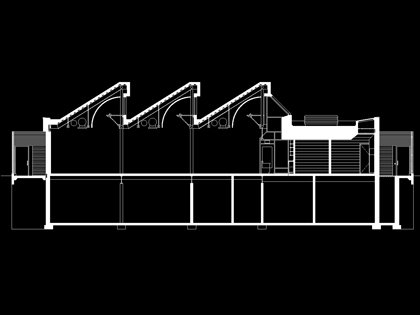 The building has two return/exhaust air systems; one collecting air at the peaks and one collecting air near the floor. In the winter, the hot air from the peaks is recirculated throughout the building, its heat being stored in the slabs and masonry walls. Exhaust air is taken from the cooler air near the floor. In the summer, the hot air from the peaks is exhausted and the cooler air is recirculated. The building established goals to consume significantly less energy than that allowed by the New York State Energy Code: 48% less for lighting; 62% less for heating; and 34% less for cooling. Unsurprisingly, the actual electric meter readings after two years of operation demonstrated that the building has out-performed these goals: by 30% for heating and 50% for electrical (lighting & cooling). For more information on the COTE Top Ten and to see the other winners, click here..